Hi everybody. 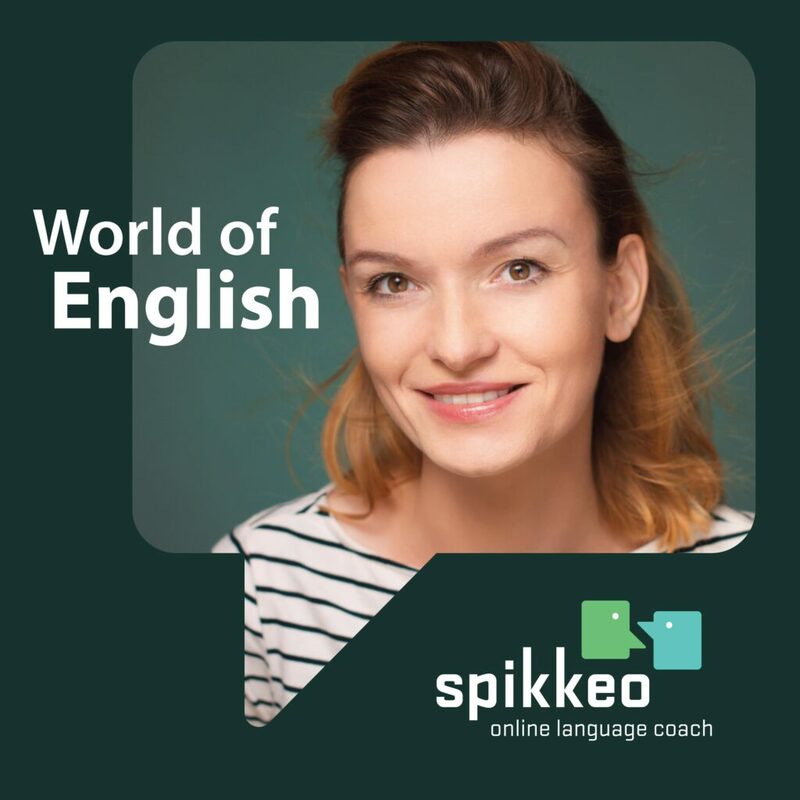 It is the World of English podcast. It is our 10th meeting and it is our last meeting before the end of the year. Who would have thought? … it is getting a little bit sentimental here. But of course, I’m not going to be sentimental. Although this time, I mean Christmas and the end of the year, it is a very special time. First of all, it is that kind of time spent with the family, with the closest to your heart, with your friends, the people you love, the people you respect, but also it is this very special time because most people, including myself, look back at what has happened over the past year, what has changed, what we have achieved, what we have succeeded in and what we have failed to do. So all sorts of things that are there, in our minds, we are thinking about it, we are discussing it. We are delivering these speeches, so to say, right. Sometimes these speeches are delivered to the public but most of us just deliver these speeches in our minds thinking how much we have changed over the last year. And as I said, most people do it and even the queen, I mean Queen Elizabeth II does it and she did it this year. I listened to the Queen’s speech that was broadcast during Christmas and this year what I particularly liked, this year she even made a little joke. Because the year has been very busy for the Royal Family and she made a little joke about the weddings in in the Royal Family. There were two of them, two weddings. There were two babies and there is one expected and what she said is that it keeps a grandma occupied. She is in her 90s, not a very young woman, have to say but she’s very well prepared to do what she does, to represent the monarchy and I think that her speech was a good one. She made a comment, again, a little joke about her own age because she said that a long life, this is what people say, that a long life means wisdom and she just commented and said that she would like to believe so. In her case, when she is, as I said, in her 90s, it would be nice to be so, right, that a long life brings wisdom. She also referred to relations between people, to being respectful. Although there are differences, because there are differences, there are a lot of differences in the Royal Family and in the very British society itself, but what she referred to is that although there are those differences, we should respect each other, we should love each other, even though we don’t have to agree with each other every single time. So this is the queen, this is us, I mean we all refer to what has happened in the last year, but the speech that I would like to discuss today with you, that kind of speech that was delivered at Christmas time, on Christmas Eve and the title of the speech is Let Me Be Frank and it is a certain play on words because you can be frank with yourself, or you can be frank with the people who are listening to you. But you can also be Frank Underwood. And if I say Frank Underwood, I’m sure you know who I’m talking about because it is Kevin Spacey who was acting, playing, who was pretending to be Frank Underwood once again, and he delivered a short speech, a short presentation on the 24th of December. And this speech is something that I guess we shall discuss here because it is a fantastic play, a play on words and a fantastic play on emotions and a fantastic play on facts, things that have happened or things that haven’t happened perhaps and linguistically, when we think about it from the linguistic perspective, it is just a masterpiece. And this is exactly what I’m going to do here, right, so I’m going to discuss this recording and you’ll get a link to the YouTube, to this YouTube recording under the podcast. You will easily find it and I hope you’ll listen to it and perhaps just tell me what you think about it, whether you agree with me, whether you have enjoyed it as much as I have, of course I enjoyed it at different levels. And the subject is very difficult. Those of you who know Kevin Spacey and those of you who watch House of Cards and those of you who know Frank Underwood, they know what I’m talking talking about. Kevin Spacey has been accused of some very bad deeds, so to say, because he’s been accused of molesting boys, of using his power, his power in Hollywood, his power as an actor and just making people behave in a certain way. Very difficult accusations. Of course, I’m in no position to discuss it here because I have no knowledge and I’m not going to say whether I believe that what he has been accused of is true or that is not true. I’m not going to do it here. It is absolutely beyond my knowledge and absolutely beyond my understanding here. But what I’m going to discuss here is his acting and the language used in this recording. Coming back to the accusations for a very little second. I guess that such scandals or such revelations are a common thing in Hollywood, some people, they have experienced this and thanks to these revelations their careers have gained momentum, but for some people such scandals, they were the last nail to their coffin and because of such situations, they have disappeared from the Hollywood scene. We will see what is going to happen with Kevin Spacey. He is facing trial and there will be judges who will decide and who will sentence him or they will say that he is innocent. As I said this podcast is not about him personally and his deeds because we’ll leave it to the courts, to the law courts and the law courts will decide. But the very recording, let’s look at this very recording. He is, it’s very difficult have to tell you, very difficult for me to refer to Kevin Spacey because the way that he is talking to us, to the viewers, he is certainly doing it the Frank Underwood way. So when we’re looking at him, I mean, on the one hand, you know you’re watching Kevin Spacey but, on the other hand, this is actually Frank Underwood. Frank Underwood, obviously, is this character from the series House of Cards. He is the president of the United States so he is this most powerful person, most powerful man in the world. And he presents this job, he and his wife, both of them, in a very different perspective. I mean what we know or what we used to know is that they are, yes, they are these great people, that they are very honest, that they are very truthful, trustworthy. They are these great leaders who lead the nation and make America a great country. But what the series does, and what Frank Underwood does, Frank Underwood and Kevin Spacey obviously, because this one person when it comes to the series, they show that politics is actually a very dirty thing, a very dirty world where all the rules disappear and if you want to achieve something, you can do whatever you want. You can even break the law. They, I mean Frank Underwood and his wife, they make this great power couple who can do it all. They can win the world but the tactics that they are using and their deeds and the things that they do they leave much to be desired. At least for those of us, for those people who would say that what they do is not very moral. A great serious, a great language, great episodes, something we can keep on discussing without end. And at one time, because of the accusations, Kevin Spacey was asked to leave the serious because the producers decided that they did not want such a person in the cast, such a person with such accusations. So he disappeared and now it is his wife who is ruling the country. I mean his wife in the series and Kevin Spacey is waiting for trial. He has been silent, right, most of the time, not very active until that very moment, that very day, the Christmas Eve when he published the recording. And as I said, he is, Kevin Spacey is Frank Underwood there. And the very title Let Me Be Frank also suggests so. But we can look at this title from two different perspectives. So, one perspective tells us that it is Frank Underwood, but the other perspective tells us that frank means that you are honest, so what Kevin Spacey does and what Kevin Spacey tells us is that he wants to be honest with us and that’s why he says let me be frank. The the way that he refers to us, I mean us it is the viewers, the the audience and I would think that he is actually talking to myself and each and single person who is watching, who will be watching this episode, this YouTube recording, I guess, they would have the same feeling that Kevin Spacey or Frank Underwood, depending on which idea you will choose, because he is becoming one person there. It is blending – his personalities. And each person who is watching would say that actually he is referring to him or her personally because what he does, what he says it is you and I so it is very personal, a very strong message. So, when you’re watching him, you feel that he’s actually talking to you personally, not to all the people in the world, because he’s not defending himself in a very straightforward, thinking in a very straightforward way. He’s not saying I’m innocent. Please forgive me. No, such thing. He is just using this perfect language, this linguistic power to refer to the situation and he’s talking personally to the person who is watching him. A great thing. He’s also referring to these deepest emotions, and I would say, coming back to the series House of Cards and coming back to what he recorded that evil sells best. I know it is a very strong expression but this is exactly what it is. This is exactly what art is based on. Evil, the wrong-doers, the evil characters, they are the most attractive characters in films, in books, in theatrical performances. Frank Underwood Is that kind of person and Kevin Spacey refers to this evil, refers to this wrongdoing, he refers to his bad deeds, but he also says that people just love him, people expected that he would behave in this certain way, in this evil way. What he’s doing, he’s provoking the audience, one hundred percent. He has certainly provoked me because I’m recording it, the podcast, I’m sharing my thoughts and opinions with you about him and what he did. So, as I said, when he refers to you personally, he says that and let me quote it here I told you my deepest darkest secrets, I showed you exactly what people are capable of. He is again referring to the series. He’s referring to the wrongdoing and he’s referring to Frank Underwood, that Frank Underwood is actually or was actually capable of doing absolutely anything. What then he says is and you trusted me even though you knew you shouldn’t – a fantastic phrase, a fantastic expression and this is exactly what he is doing. He’s pulling the strings. We, as the audience, we, as the viewers, we know we shouldn’t be following him, we know we shouldn’t be trusting him, but this is what we do because he is so great even though he is bad, even though he is doing some bad things. And when I say even though he is bad, I’m not actually sure who am I referring to here? Am I referring to Frank Underwood or am I referring to Kevin Spacey? The recording, and this is not by chance that he recorded it, well that he published it, we don’t know when he recorded it actually, but he published it on the 24th of December because he is wearing an apron, he is in his kitchen, he is preparing some food, he is sipping a cup of tea, presumably, and he is preparing this Christmas supper, so he is feeling alright. Yes, he’s showing us that he is perfectly alright. Although, and here we have again these two different perspectives, different or similar, actually, perspectives because we know we shouldn’t be trusting Frank Underwood. But then again shall we be trusting Kevin Spacey? Or quite the opposite, we shouldn’t trust him. A very difficult thing to decide and a very difficult thing to guess, in my opinion. What else, so Kevin Kevin Spacey is continuing and this is what he says so we are not done and no matter what anyone says and besides I know what you want. You want me back. He is not in the series and he is not in the public life. Because of the accusations he has lost some very lucrative contracts, so he lost his place in the series, but he also lost his his place in some films. So again, Frank Underwood is gone and Kevin Spacey is gone. But he knows we want him back and he is and that is true. He is true. We want him back. He also refers to the people who judged him, because there is this part of the society who has judged him, who has already decided that he was guilty, as I said, I’m in no position here, I’m not going to talk about it or discuss is, to think about it even but he is referring to these people who have judged him and he says that there are those who have been waiting with bated breath to see him confess it all. Bated breath is this kind of action that we do when we are waiting impatiently for something to happen that we cannot catch even our own breath. So, please remember that if you’re so excited, you’re waiting for something with bated breath. Then Kevin Spacey looks at us or looks at me, as he talks very personally to one person, that it is not that simple. I mean definitely it is not simple in politics and it is not simple in life to say what is true, what is not true without evidence. This is the expression that he uses and he also tells me or tells us, when you’re watching it, you will have the same kind of feeling, that he believes that his viewers, that his audience is smarter than that, so smarter than other people who make a judgment without a trial, who make a judgment without evidence. So what he says is I think I believe you’re smart that so I believe you haven’t judged me yet. The phrases that he uses there or the constructions of the sentences, as I said at the very beginning are very powerful, they are very strong. He uses this expression send-off, a memorable send-off. A send-off is this farewell, a send-off is saying goodbye, so there’s been a send-off so people said goodbye to him and he was gone. And then, coming to an end of this recording, he says something like that in life and art nothing should be off the table. Off the table means out of the question, if something is off the table and out of the question, it means that is not possible, that definitely there is no place for it. But what he says is that, in his opinion, in life and art there should be place for everything. So he is telling us, he is informing us that he is not feeling guilty actually because anything and any action is possible, is acceptable, providing, it is accepted generally. So, this is how he feels about it in life and art nothing should be off the table. At the very end of this recording he says that he is not going to pay the price for the things that he didn’t do. So he’s making this very strong statement. No, I’m not going to do it, please stop. And then there is this fantastic quote, quote that just makes Kevin Spacey or Frank Underwood the person, the people that they are, and the quote goes like that oh, well, of course you’re gonna say I’m being disrespectful not playing by the rules. Like I ever played by anyone’s rules before I never did and you loved it. I never played by the rules. His presentation, this YouTube recording is definitely a sign of not playing by the rules because this is not something you do when you are accused of committing some crime and you’re waiting for trial. And this is not playing by the rules, in absolutely no way and this is who he is, this is Frank Underwood. This is Kevin Spacey. I’m not going to play by the rules. I’m going to stay the way I am and you love it. And I guess that most people do, most people do, they love this creation. He referred also to the public opinion, he uses the expression poppycock. Poppycock means, like, rubbish. Yes, so the things that are there, they are in the press, in the gutter press, in tabloid press, but they are not true. The they were just made up by some journalists. So, despite all the rubbish, despite the animosity, despite the headlines, obviously the headlines in the newspapers and despite the impeachment without a trial. And once again we have a situation when the life of art and the real life, they blend, they become one because this is what happened to Frank Underwood. I mean as the president he stood impeachment. This is what happens in real life. When there is this president who commits some crimes who is accused of some bad deeds, there is impeachment for him. And Kevin Spacey also says that he has been impeached without a trial. So once again, he’s stating it very very clearly, you need evidence. You need to prove, you need to show that I’m guilty and you can’t prove it as yet. He finishes the recording with a very powerful statement – I feel surprisingly good. I feel perfectly all right, my confidence grows. You have to be very strong to say something like that knowing that you’re going to go to court the next day and prove that what you are accused of is not true. Wait a minute, he says at the very end of the recording. Now that I think of it. You never actually saw me die, did you? Did we? Did we see him actually die? I guess we didn’t. Conclusions can be deceiving. This is the final statement, the final phrase, the sentence conclusions can be deceiving. This is what we do, we draw conclusions. When there are some facts, there are some actions and we decide we believe something, we think that something is true or something is not true. So these are the conclusions. So some people drew certain conclusions. But conclusions can be deceiving. When something is deceiving, it means that you can have a very false idea of something. So you believe one thing but it is actually not true. And that’s why it is deceiving. At the very end, he looks at the camera in his apron, this Christmas apron, cooking as I said, and he asks us, the public, the viewers, the audience miss me? Well, do we miss Frank Underwood, do we miss Kevin Spacey? I’m not going to answer this question. I guess everybody shall answer this question in their own mind and decide for themselves but this American diction, so the language, the powerful language that he uses in the recording and the powerful language that is used in the series House of Cards. And of course, I highly recommend this series, I recommend that you should watch it and that’s absolutely a fantastic series. From the perspective of the action, of the things that are going on there, but it is also a fantastic thing from the perspective of the language. So the language that is used in the recording made by Kevin Spacey is this very language from the series, powerful, strong, to the point. That’s why I use this expression American diction, American way of describing the world, American way of talking about things. Please, watch the series, please watch the recording. Please learn the language – a great source to do so. And what, as I said, this is the last recording before the end of the year, I would like to thank you very much from the bottom of my heart for our meetings. I’d like to thank all the people who have listened to the podcast, listened to the recordings, all the people who have commented on it – a great thing for me to read the comments from you. I hope you have, as always, you have enjoyed it, you have learnt some expressions, you have spent some fine time with me, with the language, with the stories that I have presented, and I wish you all the best for the New Year. I wish you a lot of strength and a lot of power to keep on going and to keep learning the languages and English in particular. I hope to meet you next year. Hope to keep on growing, developing and I hope, meeting you over and over again. Thank you so much. See you next year. Bye. Bye.